We’ve said it before, and we’ll say it again: Serum is one of the most crucial products in your skincare arsenal, along with a good moisturizer. As beauty editors, we’ve tried and tested dozens of products from each category over the years, and we thought we’d found go-tos we’d never consider parting with… until now. 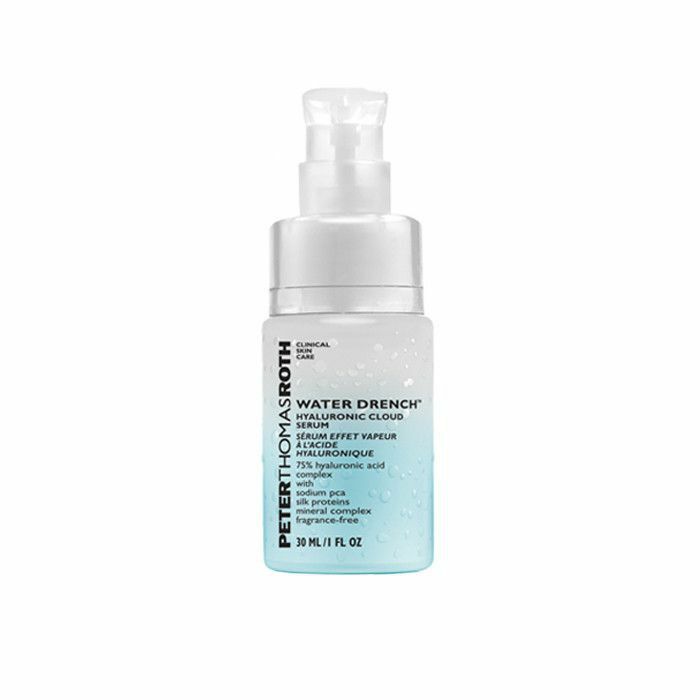 Enter: Peter Thomas Roth’s Water Drench duo (which have been sold out everywhere since they launched at the start of the year), consisting of a hydrating serum and cream that are unlike anything we’ve had on our vanities before. Ready to improve your dull, dry skin? Keep scrolling to see why we think you’ll love these two products. We’d be lying if we said we didn’t have a thing for serums. Really, though, what’s not to love? A gentle, effective product formulated with active ingredients that help diminish the signs of aging? Yes, please. After all, dehydration is one of the main culprits behind aging skin. That’s what makes this serum so appealing. 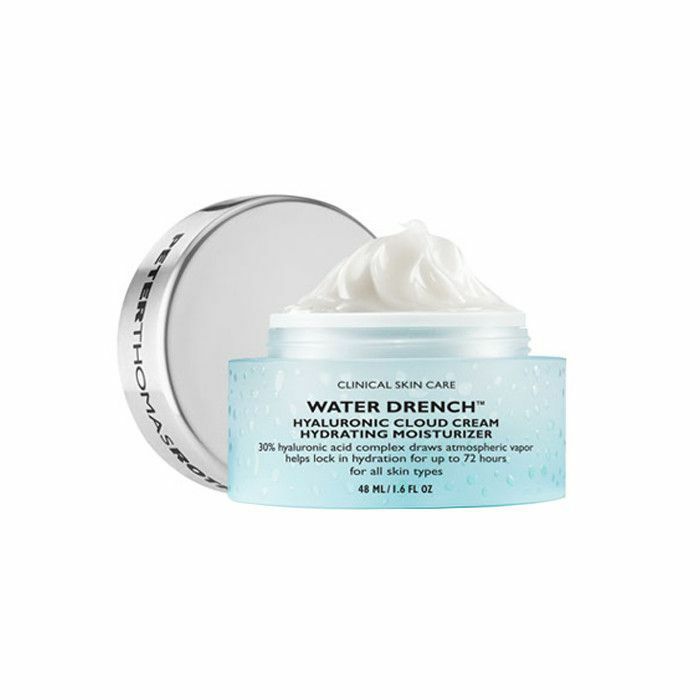 Its 75% hyaluronic acid complex will quench your skin’s thirst, and the refreshingly lightweight formula seeps into skin instantaneously, making it a perfect option for night or day (you can apply your makeup without any hesitation!). When we saw that this cream’s packaging says it can keep skin hydrated for up to 72 hours, we were a bit skeptical. Anything claiming to last that long surely must leave skin looking oily, right? Not so. This cream, formulated with 30% hyaluronic acid complex, surpassed all expectations. A little goes a long way, thanks to its lightweight water-based formula, which almost instantly plumps fine lines and diminishes dryness. Best of all, you can still see and feel the results after a full night’s sleep—you’ll wake up to fresh, hydrated, and more youthful-looking skin (and who doesn’t want that?). How badly do you want to try these products? Now’s your chance! Peter Thomas Roth is hosting a sweepstakes where one lucky person has the chance to win a $5000 Amex gift card and 10 people have the chance to win a $500 gift card to shop at PeterThomasRoth.com. Want in? Click here to enter the sweepstakes!